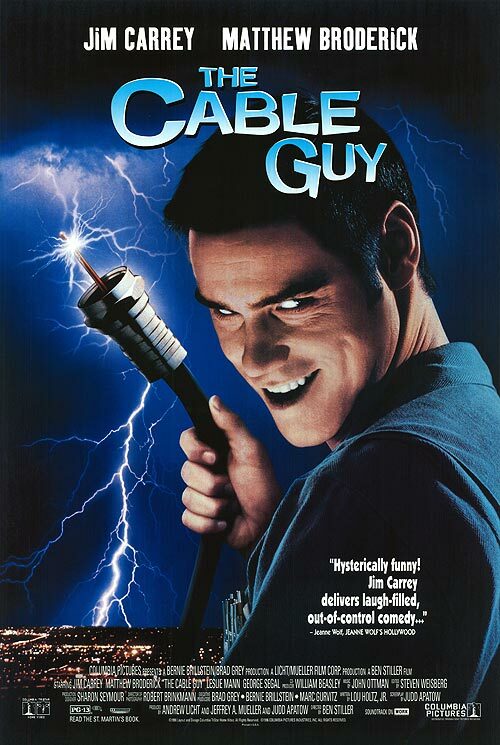 Ben Stiller directs Jim Carrey as a lonely, psychotic cable-TV installer who latches onto mild-mannered customer Matthew Broderick in this dark, sporadically funny comedy. Like a deal made with the devil, the customer’s world turns hellish after he forges a pact with the cable guy for free channels. Carrey performs his usual contortion carnival, but it’s at the expense of his pitiful character. Stiller also appears in the film, as do Jack Black, George Segal, Eric Roberts and Janeane Garofalo. Rated PG-13.